← 18.1.18 We got visitors again! As we saw when we visited the Mary Arctica, in the north of Atka Bay the sea ice is almost gone, there is already open water. 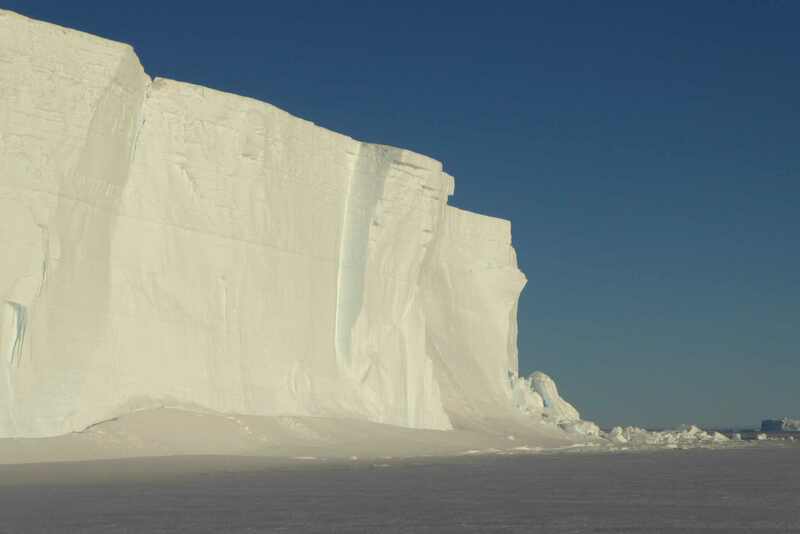 Neumayer is situated at the southern edge of the bay, where the sea ice still looks very solid. Last week, I wanted to get closer to one of the huge icebergs that can be seen from the base. The berg had been calling me ever since I arrived here, almost like a mountain that makes me wish to climb it. Well, climbing an iceberg is out of discussion here, but just to see it from close would satisfy me. The big icebergs in the bay are grounded, whereas the sea ice is moving with the tides, which leads to cracks in the vicinity of icebergs and makes it wise to keep a safety distance. Sofi and Tim, from the old wintering team, Daniel, a summer scientist, and I went with only two skidoos and headed for the iceberg. I immensely enjoyed being in a small group for a change, and having chosen the destination myself. We are 55 people on the base now, with only a restricted number of available skidoos, so normally you can hardly choose where, when and with whom you want to go. The first sea ice trips were very enjoyable, but it was like going with strangers, I often had met the people just a couple of days earlier. Sofi is my direct colleague here, we share an office and had also gone skiing together, Tim is the doctor and I know him slightly better due to some small medical problems I had, and Daniel is a very nice, quiet scientist, who seems to enjoy the beauty and tranquillity of the sea ice landscape as much as I. They were the best companions I could imagine this summer. (Funnily, Daniel’s father was active in polar research in the olden days, when I wintered here.) In the olden days, I had been on excursions to the sea ice with friends, which felt very differently. Here, there are so many people, and the fluctuation of people is so high with all the planes, that it is almost impossible to make friends. However, with this small group that evening, for the first time here I felt like I was there together with the others, not only at the same place at the same time. There was no rush, no stress, we took our time to take photos and everybody enjoyed it and it felt good to share all this with the three colleagues. 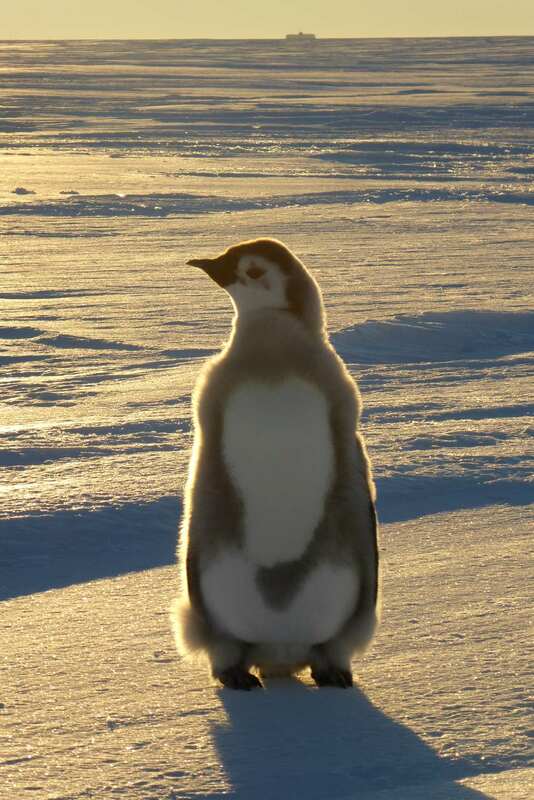 I sometimes think the greatest happiness must be to be able to share this Antarctic experience with the person you love, but only few people are so lucky. 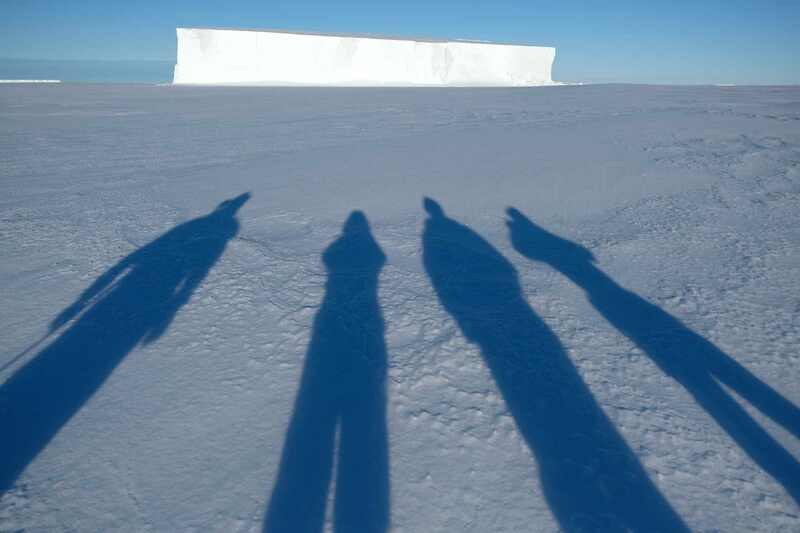 Our shadows on the way to the big iceberg. On this trip, for the first time this summer, I had a feeling of togetherness. From the iceberg we went to the seal colony. We had to cross a big crack to get there, but made it without problems. Seals need cracks to get access to the water to go on hunting trips, so it is always recommendable to be a bit careful around seal colonies. 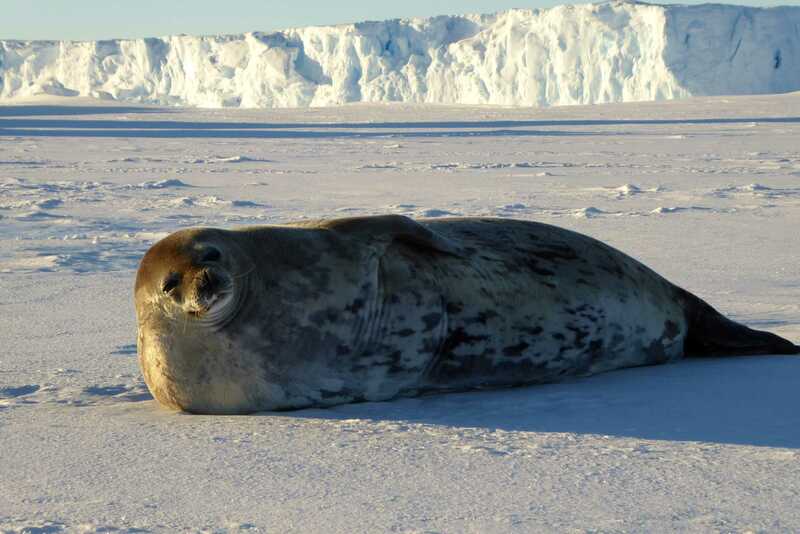 The seals were lazily lying on the sea ice, the young ones almost as big as their mothers now. Since the summer is so short, they have to grow very quickly, and they do, drinking the extremely fat milk of their mothers, while the latter are losing weight all the time. We just sat there, watched them, took photos and enjoyed it. 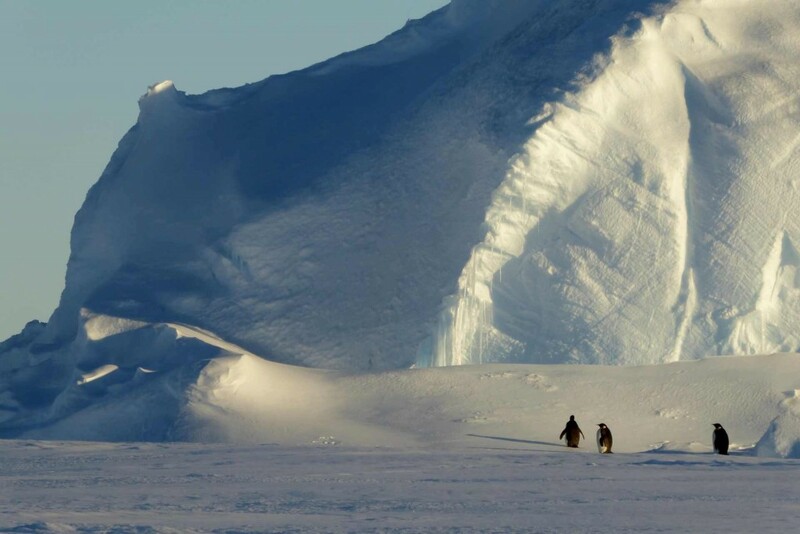 A beautiful iceberg close to the seal colony. 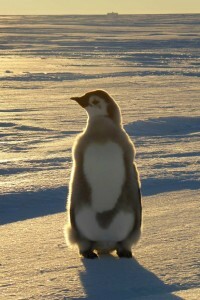 Even the penguins seemed to admire its beauty. 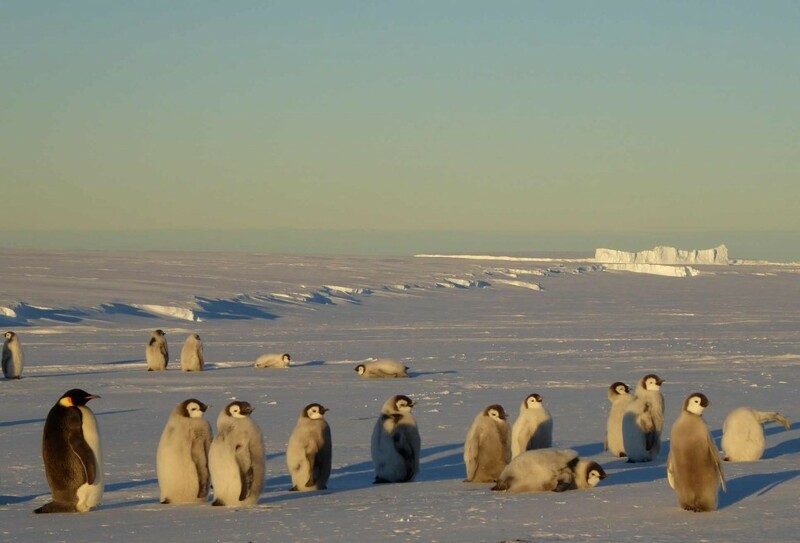 On the way home, we stopped at a small group of young emperors, about 120 individuals, which were on the ice shelf, less than a kilometer away from the ramp. It was almost 11pm by now, and the light of the low sun was wonderfully soft. The penguins were standing at the edge of an ice-covered and almost snow-filled inlet, with spectacular icebergs behind, only I was almost too tired meanwhile to take good photos. But in this light, almost any photo would look good. 7 hours later the sea ice was closed to the public for safety reasons, and we were really happy that we had had this wonderful last trip.